Park City officials plan to acquire land in Bonanza Park with the intention of creating an arts district. Details were outlined at a press event on Thursday. 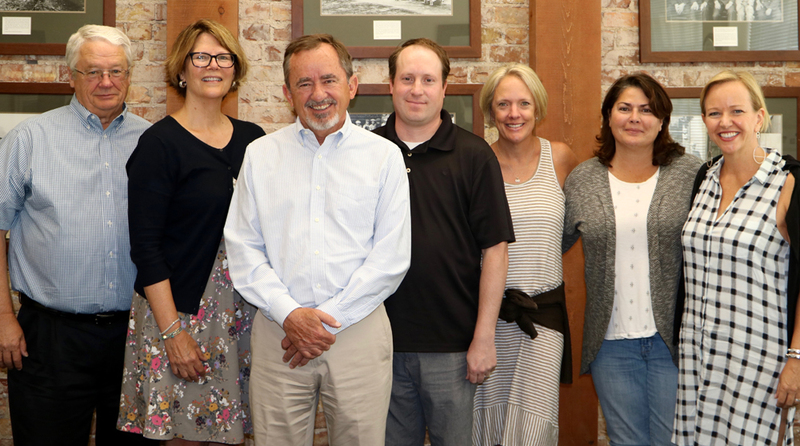 From left: Sundance Institute board member Bob Frankenberg, Sundance Institute CFO and Managing Director Betsy Wallace, Park City Mayor Jack Thomas, Park City budget manager Nate Rockwood, Kimball Art Center Board Chair Maggie AbuHaidar, Kimball Art Center Managing Director Kathy Kennedy and Kimball Art Center board member Robin Marrouche. City Hall on Friday indicated it intends to acquire land in the Bonanza Park district for nearly $20 million with plans to create an arts district housing prominent organizations like the Sundance Institute and the Kimball Art Center, a bold deal that would put the municipal government in a position to design the future of a district that has long been seen as underutilized. The $19.5 million acquisition would involve 5.25 acres now under the ownership of the Bonanza Park partnership of Mark J. Fischer and John Paul DeJoria. 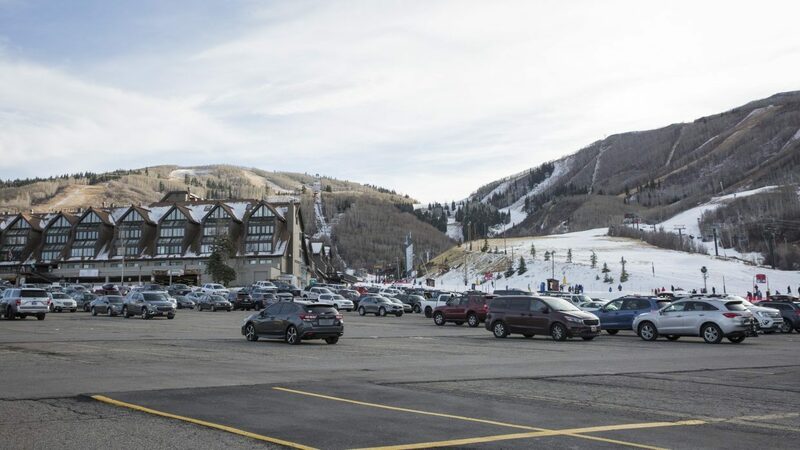 The partnership has considered a major redevelopment of the land but encountered resistance from the Park City Planning Commission and people who live nearby. A sale to City Hall would lead to a dramatic reworking of the development concepts. The parcels run from the intersection of Kearns Boulevard and Bonanza Drive to the Kimball Art Center at 1401 Kearns Blvd. The land stretches inward from the intersection and includes the current or former locations of businesses like a Maverik gas station, Anaya’s Market, Skis on the Run, a carwash and a health clinic. The deal also includes the property where the Kimball Art Center is located as well as a coffee drive-thru. The Bonanza Park partnership would retain the Emporium row of businesses on Kearns Boulevard and the portion of The Yard fronting Kearns Boulevard, where the Blind Dog Restaurant & Sushi and the Boneyard Saloon & Wine Dive are located. The concept involves City Hall acquiring the land and then selling individual parcels to the Kimball Art Center and Sundance as well as developing other parts on its own, perhaps with retailers, restaurants, office space and space for arts and cultural not-for-profit organizations. City Hall would also develop a transit hub and garage with approximately 400 spots. City Hall says the sales of the parcels to the two organizations could net the municipal government $7 million combined. The Kimball Art Center and Sundance would then develop their own parcels. A Sundance project could encompass 45,000 square feet while the Kimball Art Center development could involve between 30,000 and 40,000 square feet. 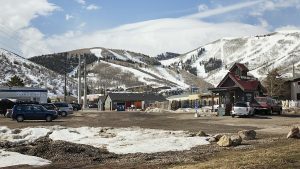 Sundance would move its Utah headquarters from the current location at Silver Star. “It is that moment in time,” Robin Marrouche, a member of the Kimball Art Center board of directors, said. Pat Mitchell, the chair of the board of trustees of the Sundance Institute, said an arts and culture hub will allow Sundance to create a “more sustainable plan” for its long-range future in Park City. “This gives us a chance to dream big,” she said. Another Sundance official, Chief Financial Officer and Managing Director Betsy Wallace, said the organization will consider bolstering the agreement with City Hall to hold the Sundance Film Festival in Park City on a long-term basis. She did not provide details. Diane Foster, the Park City manager, said City Hall will acquire and sell the properties at fair market value. The City Hall acquisition is expected to close by Jan. 31. 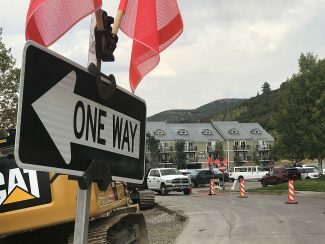 Park City leaders would fund the purchase by enacting a 1 percent tax on lodging rentals, known as a municipal transient-room tax. A tax would be expected to raise between $2.2 million and $2.4 million annually. City Hall would issue a bond to fund the acquisition. The bond would be repaid over time with the revenues from the transient-room tax. The mayor and Park City Council are expected to address the acquisition with votes at upcoming meetings. 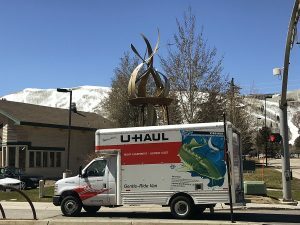 They will consider letters of intent with the Kimball Art Center and Sundance that will outline partnerships as the development is planned, make a decision regarding the transient-room tax and cast a vote on the acquisition itself. The votes are anticipated on Thursday or on July 20. City Hall this summer will also seek proposals for the design of a development. It would be the second major deal between City Hall and the Bonanza Park partnership in less than a year. The municipal government in May finalized the purchase of a little less than two acres of land at The Yard, approximately one-half of the parcel — for nearly $6 million. Officials said on Thursday the newly announced purchase of the additional Bonanza Park parcels will influence decisions for the eventual development at The Yard. City Hall at one point saw The Yard as a parcel that could advance transportation and housing efforts. The leaders on Thursday said transit and parking infrastructure will likely be pursued as part of the redevelopment of the parcels involved in the acquisition publicized this week. If that is the case, they said, the emphasis of The Yard redevelopment could be housing. It could possibly hold between 50 and 60 housing units, but the details have not been crafted, they said. City Hall plans to outline the concept at an event scheduled at 5 p.m. on Tuesday in the community room at the Park City Library. The mayor, members of the City Council and City Hall staffers are scheduled to be in attendance. Representatives from the Kimball Art Center and Sundance are also expected to be in attendance. A presentation is planned followed by questions and answers with individuals involved. The Bonanza Park partnership once held ambitious plans to redevelop the properties as a new district with shopping, dining, entertainment, office space and loft-style living. The partnership’s plans, though, have been criticized over the past decade and there was only limited progress toward the redevelopment. The opposition worried about tall buildings, the road network and other design issues. At one point in the long-running discussions about Bonanza Park, the partnership sought to relocate a Rocky Mountain Power substation from a central location in the district to a spot across Bonanza Drive. There was fierce opposition and the idea was ultimately abandoned. Fischer, who was not present at the Thursday briefing, said in an interview afterward the decision about the substation changed the dynamics of the Bonanza Park redevelopment. He said the redevelopment evolved dramatically afterward. Fischer said the partnership’s submittal to City Hall for the land that would be sold, totaling approximately 276,494 square feet, will be abandoned. The partnership does not hold current redevelopment plans for the parcels it will retain, he said.